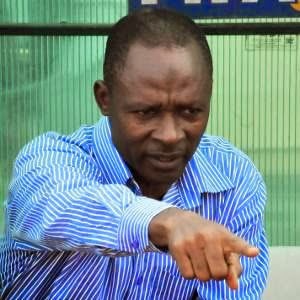 Nigeria’s Dream Team V1 assistant coach Fatai Amoo has said the side will not take for granted the challenge of the Zambian under-23 side. The Nigerians will confront the Southern African opponents in the final round qualifying match for a place in the upcoming All Africa Games (AAG) in Congo Brazzaville. reverse fixture in Lusaka, Zambia more or less a formality. “Zambia are an African football playing nation you can’t, for whatever reason, toy with as over the years I’ve witnessed progression of their youngsters to the senior national team. “They’re a force to be reckoned with in the continent, we must take them seriously. For no reason will we take them for granted but work hard to earn the decent result we all dream of. “Nigerians will certainly persecute us if we fail to win the All Africa Games ticket. We want to be in Congo Brazzaville and the hurdle right now is Zambia. “We’ve vowed to cross the Zambian hurdle right here in Nigeria to make the second leg in Lusaka a mere formality. “We quite understand the trend that the higher one climbs the ladder, the tougher it becomes so we’ll work assiduously hard to ensure we win the AAG ticket for Nigerians no matter how daunting the task is,” said the former Super Eagles assistant coach to supersport.com. 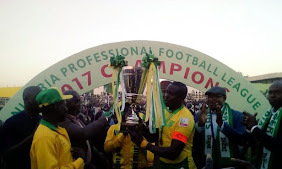 The AAG first leg fixture will be held in Nigeria on March 22 and the reverse fixture in a fortnight in Lusaka, Zambia while the aggregate winners will qualify automatically for the football event of the quadrennial multiple sports fiesta in Congo Brazzaville.